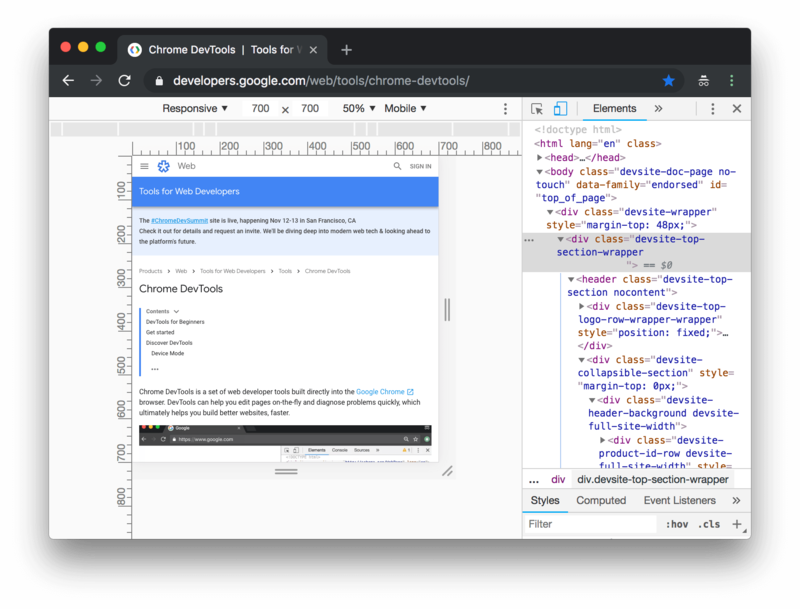 How to enable view of rulers in Chrome DevTools? Chrome DevTools previously offered a setting to show rulers when inspecting elements. It had a pixel ruler at the sides of the view, and boundary lines for each element extending the full view of the page. It used to be found (as I recall) in "DevTools Settings / General". There no longer is a General section, and I don't see it in "DevTools Settings / Appearance". Has this been moved, or removed? I'm not finding documentation or discussion of it. You can enable it in DevTools Settings > Preferences, under the Elements section. 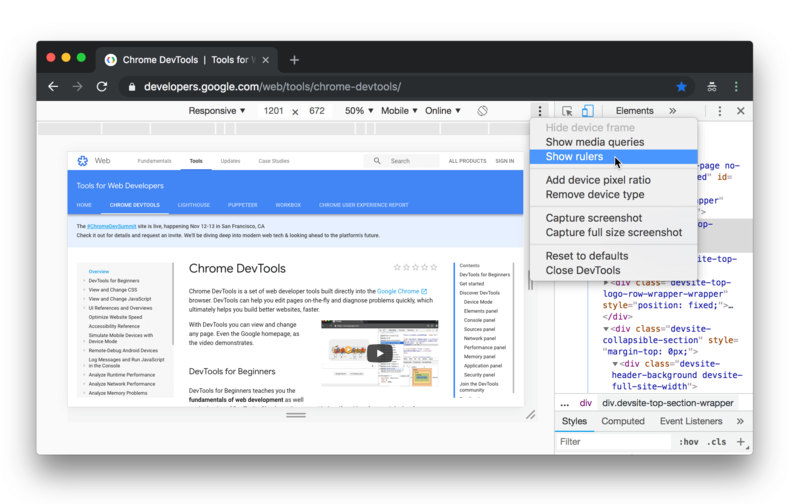 Click Toggle Device Toolbar which is in the top-left of your DevTools window. Click More Options and then select Show rulers. The rulers are to the left of and above your viewport. You can click on the numbers to set the width and height to that size. Not the answer you're looking for? Browse other questions tagged google-chrome google-chrome-devtools or ask your own question.